Feeling Dancing is a workshop foremost concerned with the felt experience of dance. The workshop is organized in 3 spheres of exploration; somatics, partner-work and dance. 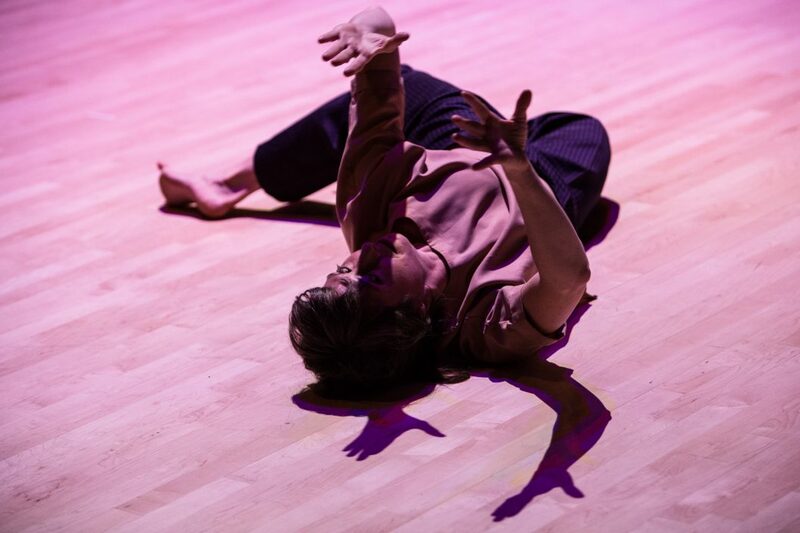 Participants will be offered solo somatic exercises to explore concepts, images and metaphors of the body where the floor serves as a stable reference for experience. Guided partner-work will be introduced where touch serves as the primary tactile feedback. Participants are always welcome to opt out of partner-work and to work with an imagined partner. Partner-work invites forces from many directions and serves as a tool to inflate the space and dynamize the body in it. It is a segue to dancing alone together with a refined and amplified felt experience. Dances aim to invite flow, surprise, flight and a glaze of sweat. Kelly Keenan is a Montreal-based dance artist and teacher. Her fascination of the perceptive capacity of the body is reflected in both her teaching and artistic work. Her teaching strives to create a positive, physical and experimental context for movers to experience refinement, pleasure and empowerment through dance. Her teaching explores different ways of understanding the body reflected in different practices. Strong influences include the Axis Syllabus, Anatomy Trains, Cranio Sacral, Feldenkrais, Material for the Spine among others. Kelly is a reputed teacher in Montreal who teaches locally and further abroad for pre-professional and professional dance institutions, festivals and grass-roots DIY workshops. Kelly’s artistic work attempts to include felt experience in the sensorium of the audience often resulting in hybrid forms. For example, A Practice (2013), a performance/workshop in collaboration with Adam Kinner; Be Still and Know Me (2017), a performance/lecture; The Direction of Ease, a performance/massage in collaboration with Jacinte Armstrong and Elise Vanderbourght. She has danced with many others including Kira Kirsch, Catherine Lavoie Marcus, Maria Kefirova, Katie Ward and Sara Hanley. She is a hobby arts administrator on the Board of Director’s of Studio 303 and organizer of the Movement Educators Forum.